Others have already talked about the architecture, the waterfront, the public art. 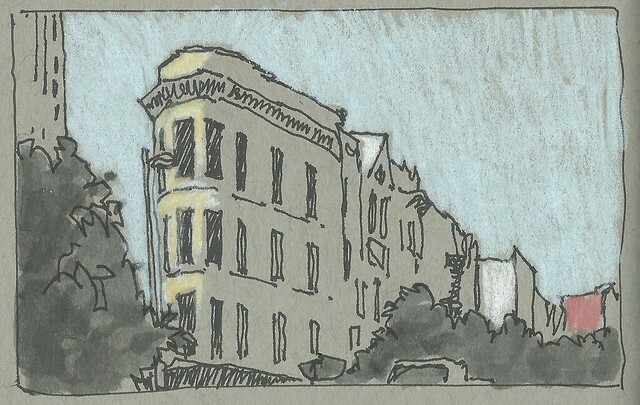 But I think the common denominator in most of my sketches was the intense, opaque blue of the sky and the strong shadows that made every scene dramatic. 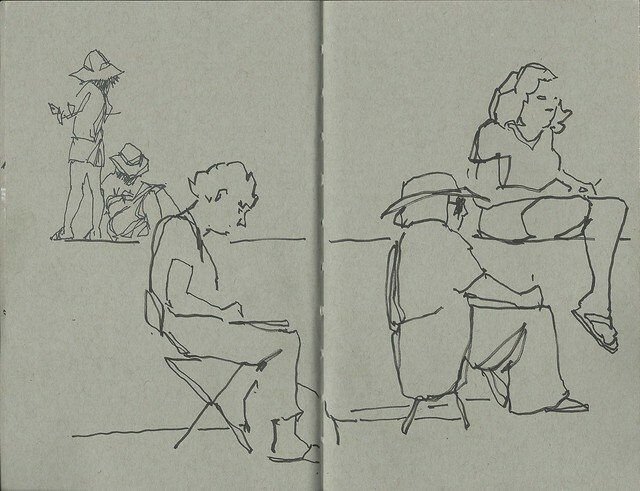 And I know I have never seen so many people sketching in one place at one time before! They were a good subject to finish up the morning with. Saturday afternoon I wandered along the trolley line looking for this wedge building that I someone mentioned at lunch. 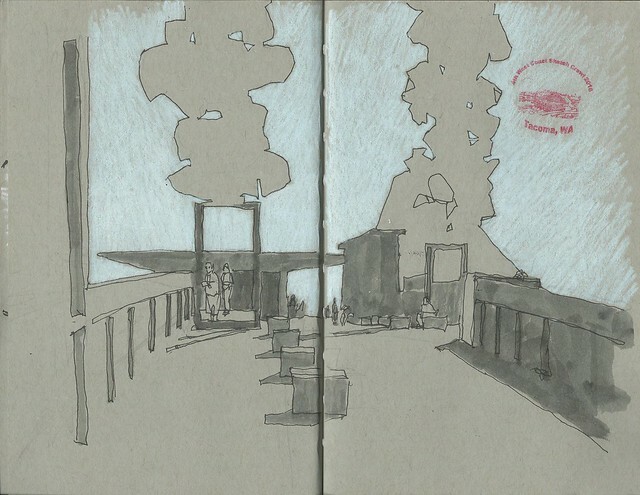 The late afternoon sun was just perfect - and I got to sit in the shade while I sketched! Great Sketches! I love the color pencil on grey paper! Thanks Gail. These were the last pages of the sketchbook and I feel like I was just getting the hang of it. I love these, Susan! Such simplicity and color-constraint make them really interesting.